The first "professional politician" to become president, the slick and dandyish Martin Van Buren was to all appearances the opposite of his predecessor, the rugged general and Democratic champion Andrew Jackson. 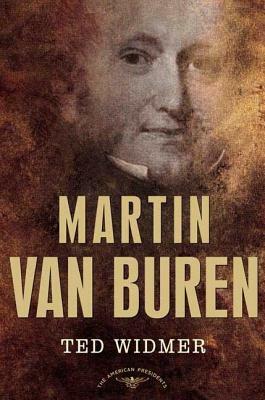 Van Buren, a native Dutch speaker, was America's first ethnic president as well as the first New Yorker to hold the office, at a time when Manhattan was bursting with new arrivals. A sharp and adroit political operator, he established himself as a powerhouse in New York, becoming a U.S. senator, secretary of state, and vice president under Jackson, whose election he managed. His ascendancy to the Oval Office was virtually a foregone conclusion. Once he had the reins of power, however, Van Buren found the road quite a bit rougher. His attempts to find a middle ground on the most pressing issues of his day-such as the growing regional conflict over slavery-eroded his effectiveness. But it was his inability to prevent the great banking panic of 1837, and the ensuing depression, that all but ensured his fall from grace and made him the third president to be denied a second term. His many years of outfoxing his opponents finally caught up with him. Ted Widmer, a veteran of the Clinton White House, vividly brings to life the chaos and contention that plagued Van Buren's presidency-and ultimately offered an early lesson in the power of democracy. Ted Widmer directs the John Carter Brown Library at Brown University. He was a foreign policy speechwriter and senior adviser to President Clinton, and is Senior Research Fellow of the New America Foundation. He is a frequent contributor to The New York Times, The Washington Post, and The New York Observer.